Set high on a headland where the San Francisco Bay spills into the Pacific, the Legion of Honor provides an unparalleled location for any event. From the grandeur of its Neo-Classical architecture to its breathtaking views, the Legion will awe both local and visiting guests with beauty both inside and out. 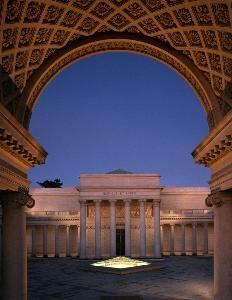 Special Features: The Legion of Honor is a landmark art museum that houses over 4,000 years of ancient and European art.